Think of your favorite tropical vacation spot and its breezy, laid-back atmosphere. Now you can take a bit of that beachy, relaxed style back to your home with the Edgewater collection from Braxton Culler. 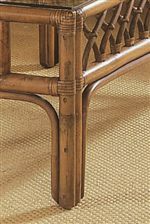 Featuring pieces constructed out of gorgeous rattan, a palm-like plant that's exceptional for its durability and resistance to splintering and breakage, this furniture is functional and incredibly stylish. 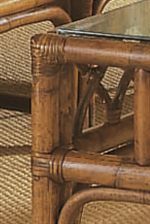 The Edgewater collection offers coastal style furniture to fully outfit your room, including a rattan sofa, loveseat, ottoman, cocktail table, and end table. 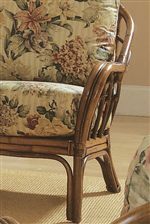 The upholstered pieces display striking English arms with rattan latticework, and feature soft comfort plus cushions for consistently plush seating support. Browse other items in the Edgewater collection from AHFA in the area.